Please be aware that the Billown circuit (Southern 100 course) will be closed on the Sunday afternoon for a junior cycling event between 1:45pm and 5:30pm. ​The Mannin Quilters are a group of about 80 members and this is the biennial exhibition of the work that they do. You will see some amazing quilts, cushions, wall hangings and bags; also on display will be items from their workshops. ​They have a well-stocked sales table, which includes quilts, bags, fabric, patterns and books. ​You will find the Methodist Church Hall on the right hand side travelling from Castletown towards Colby just past the turning to Ballasalla. ​ There is free parking in the field opposite the hall. Entry to the exhibition is £2 which tea or coffee and home made cakes. 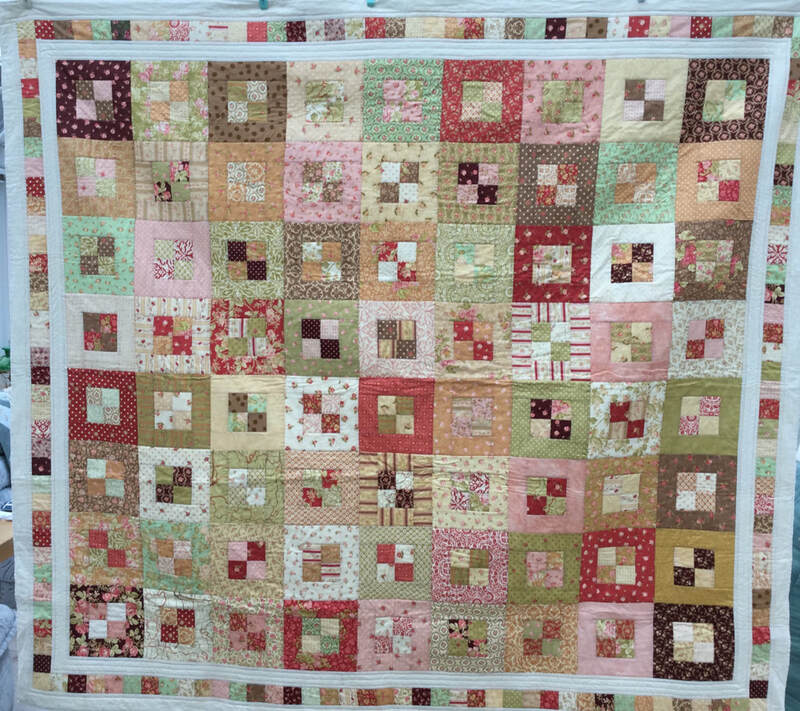 ​The quilt pictured is a double quilt made by members of Mannin Quilters and is the first prize in their Tombola. Other prizes include bags, cushions and table mats also made by members. ​Tickets are on sale from any member of Mannin Quilters or at the exhibition. The draw takes place on the last day of the exhibition, Monday May 7th. The proceeds of the Tombola will go to local Manx charities: the Macular Society and the Multipe Schleroris Society.